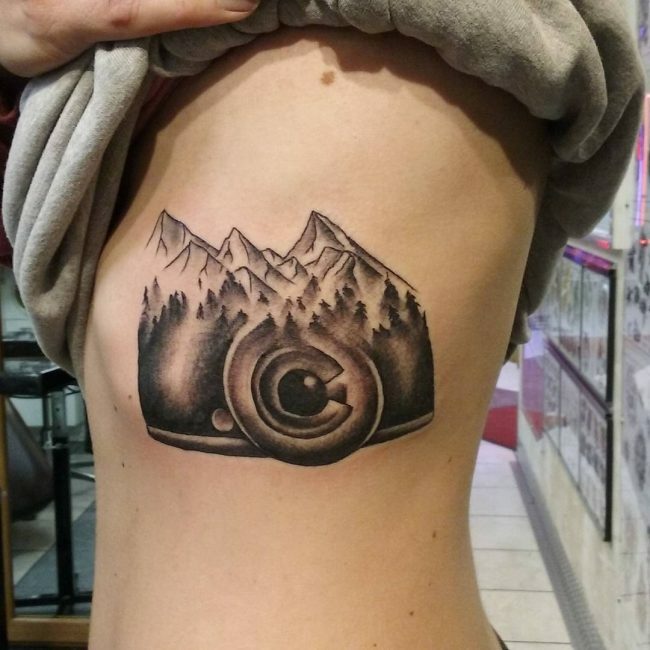 A mountain tattoo is mystical, and it will always put a smile on your face every time you look at it. 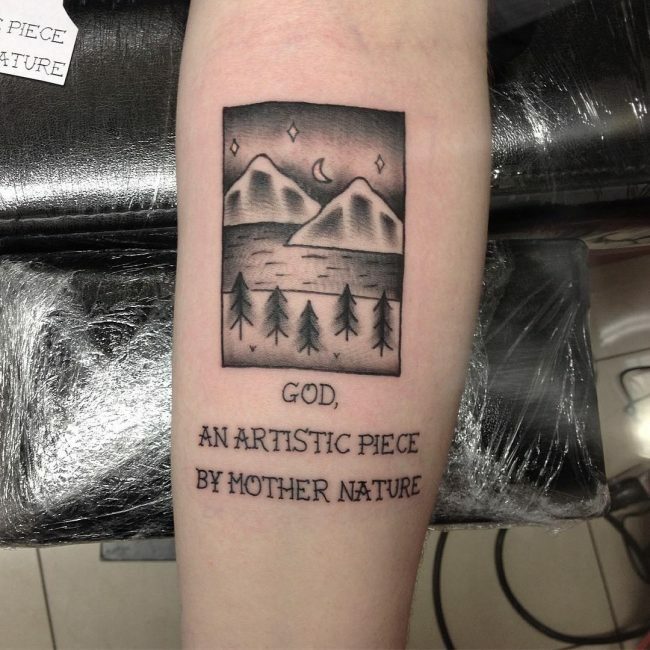 The fascination with natural elements is not a new thing because human beings have been trying to figure out the mystical nature of these natural elements for centuries. 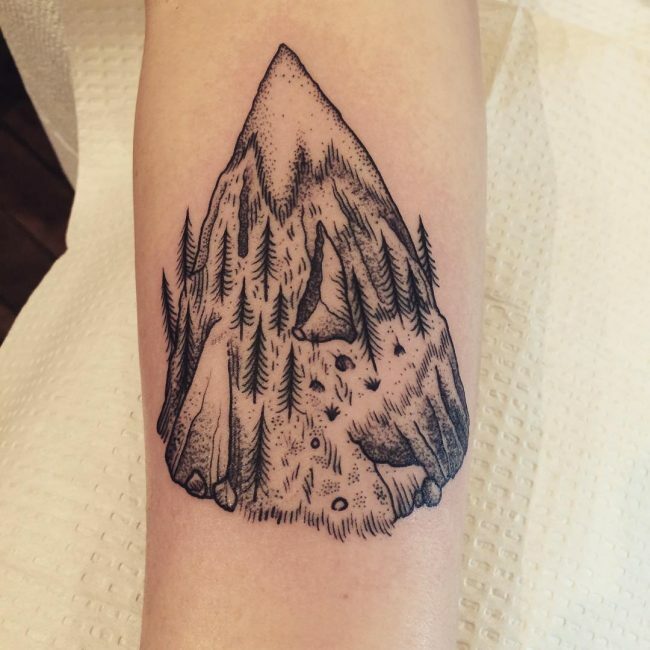 Although there are many natural elements that people wonder about, few are as fascinating as mountains. 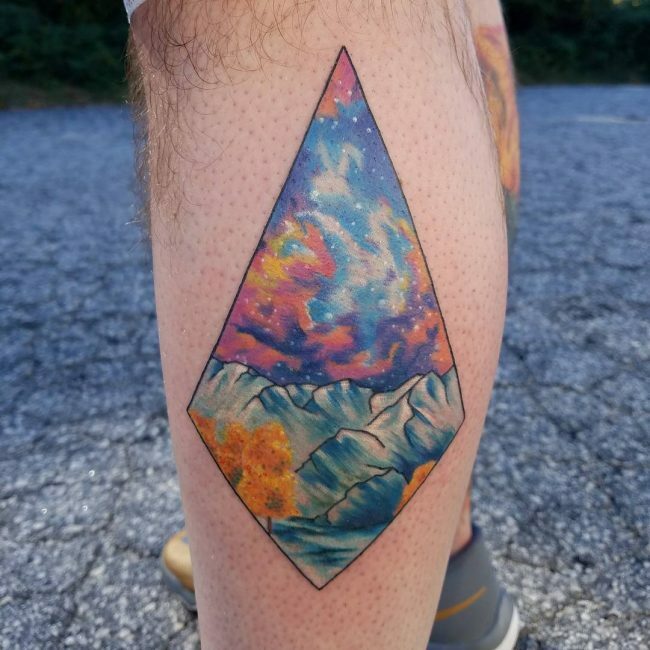 Whether it is their origins or their large size people will always have something to think about when it comes to mountains. 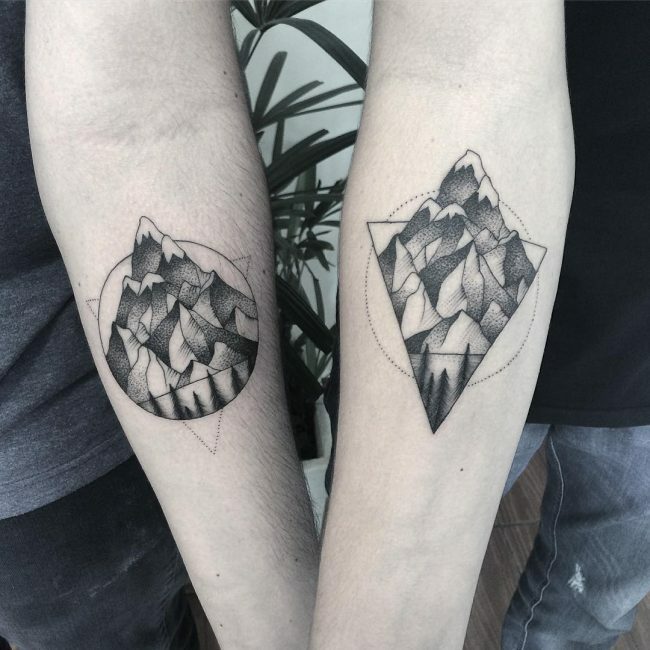 People have been drawing mountain images in books and portraits for a long time, and there have been some cave drawings from thousands of years ago that feature them. 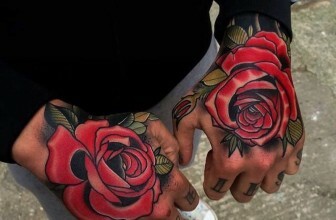 However, the modern day tattoos have a relatively new concept, and most people will draw them for their immense beauty. 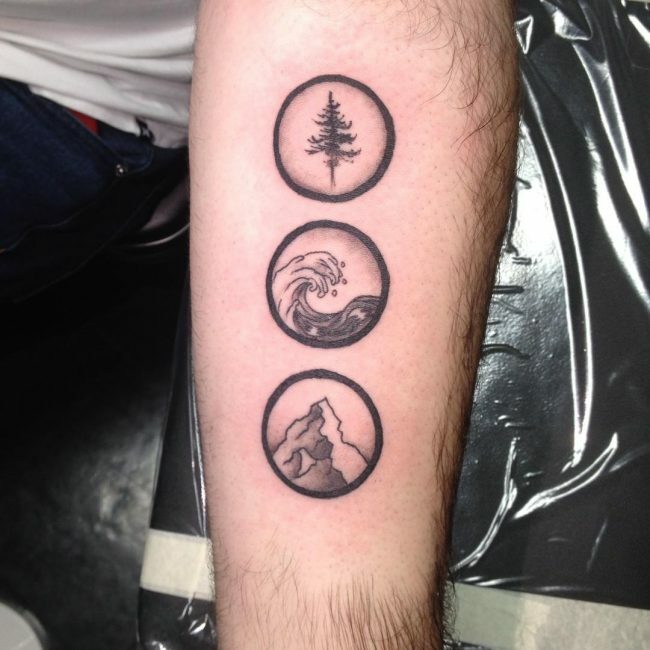 But, this is not to say that these mountain totems are not symbolic because people associate them with countless things. 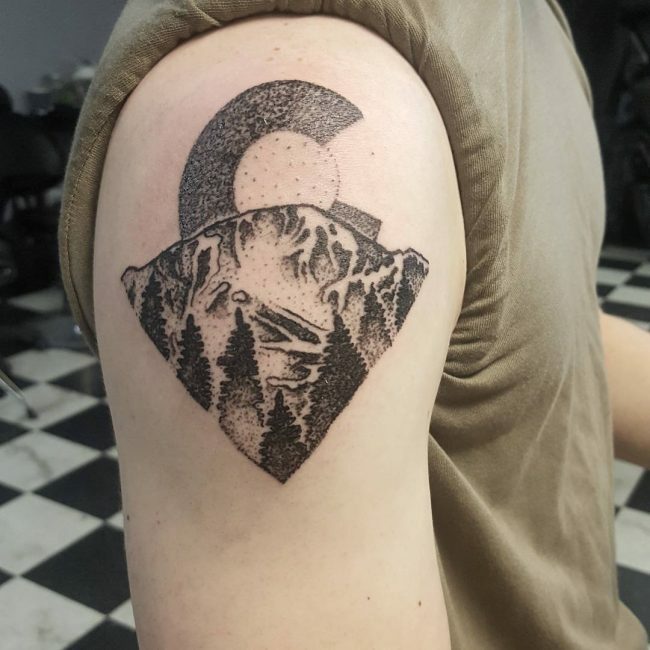 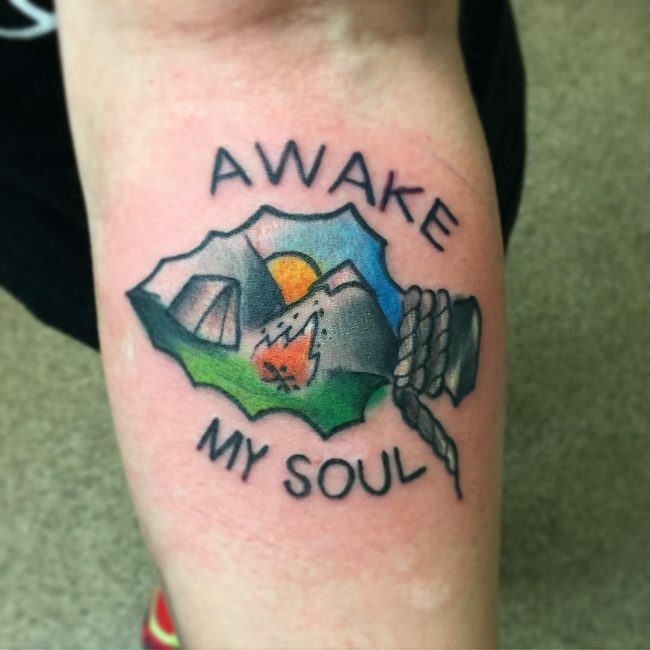 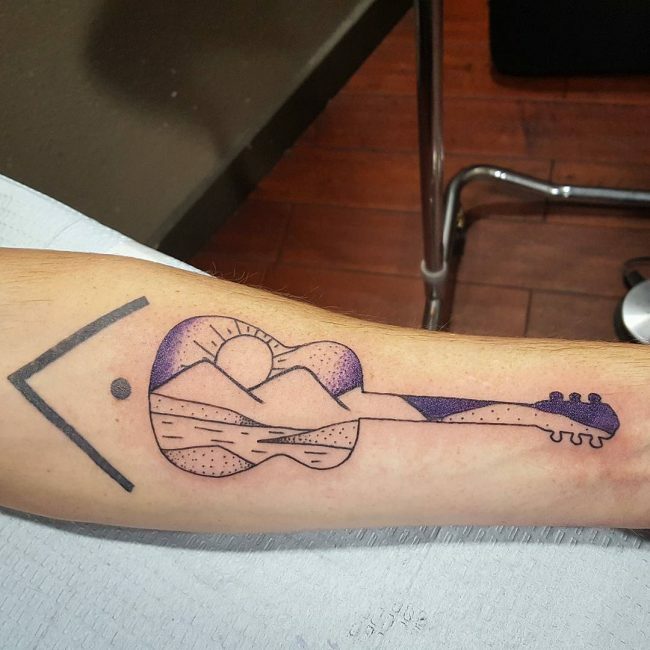 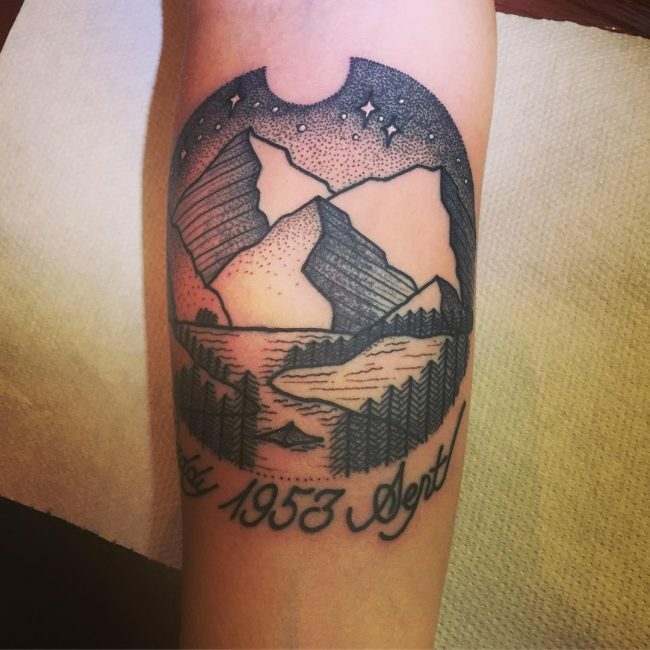 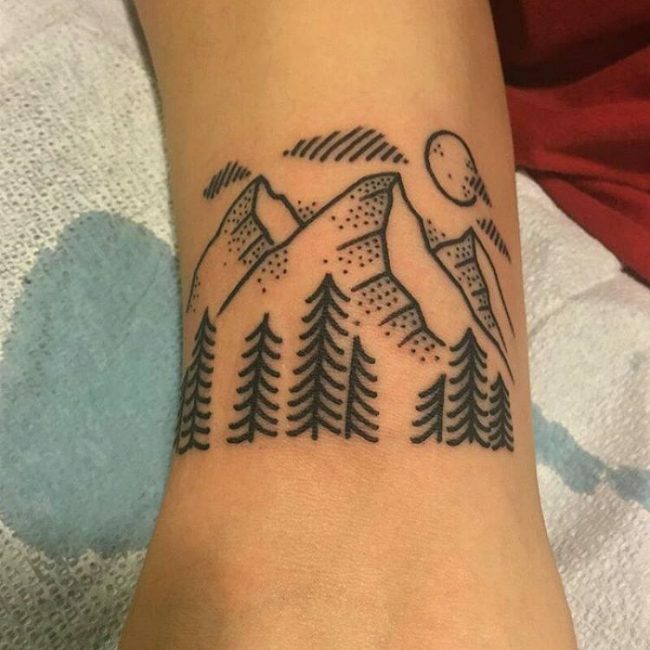 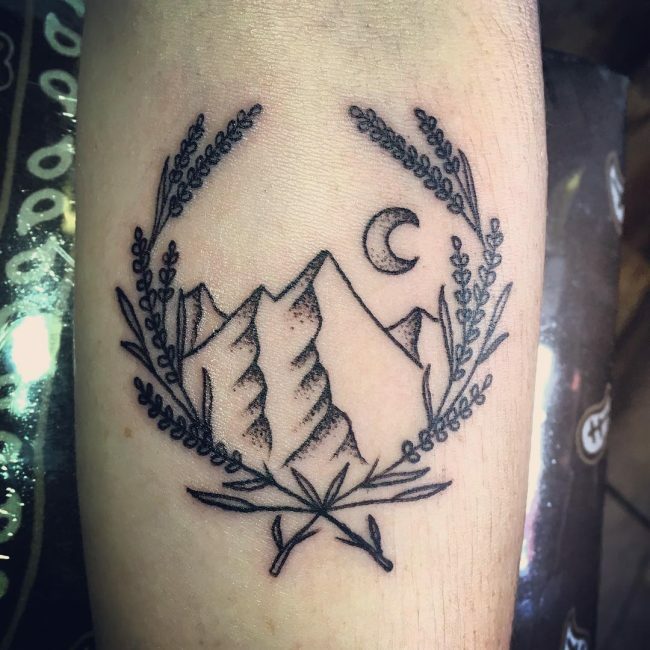 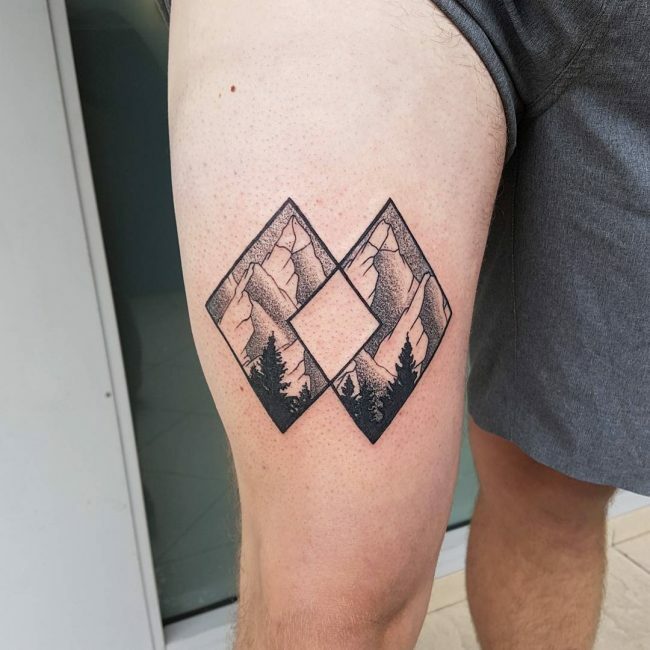 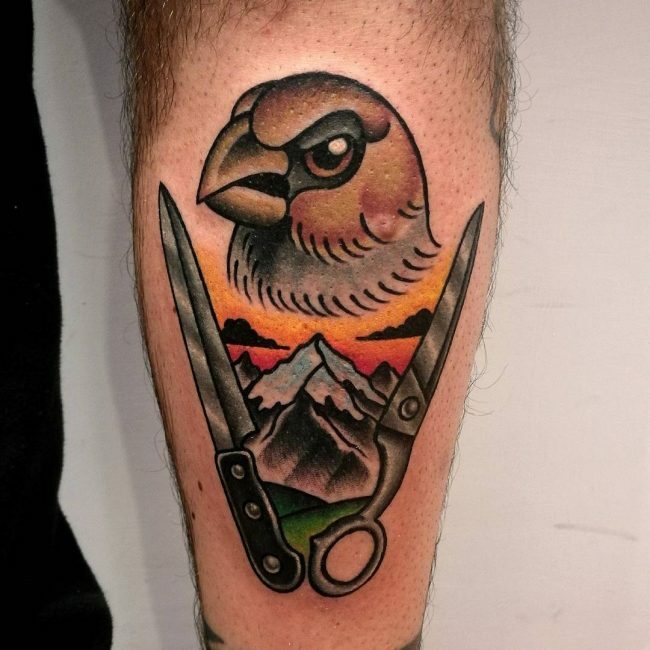 What does a Mountain Tattoo Mean? 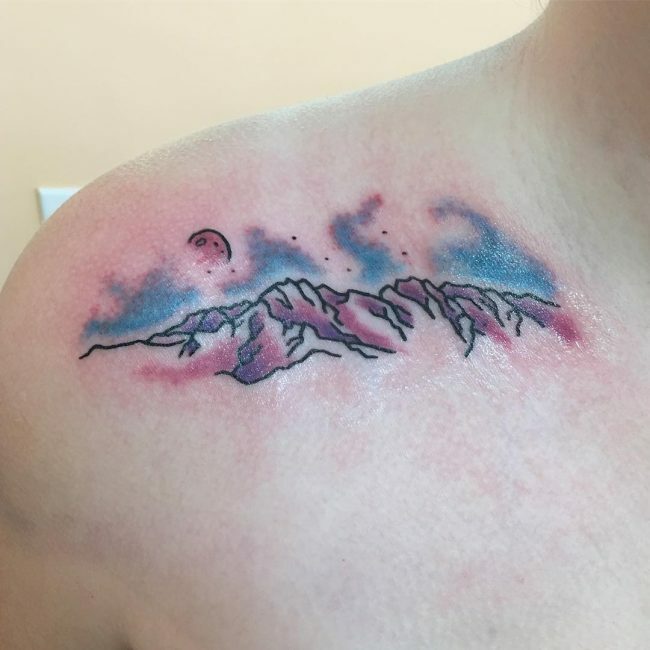 Where Should You Draw Your Mountain? 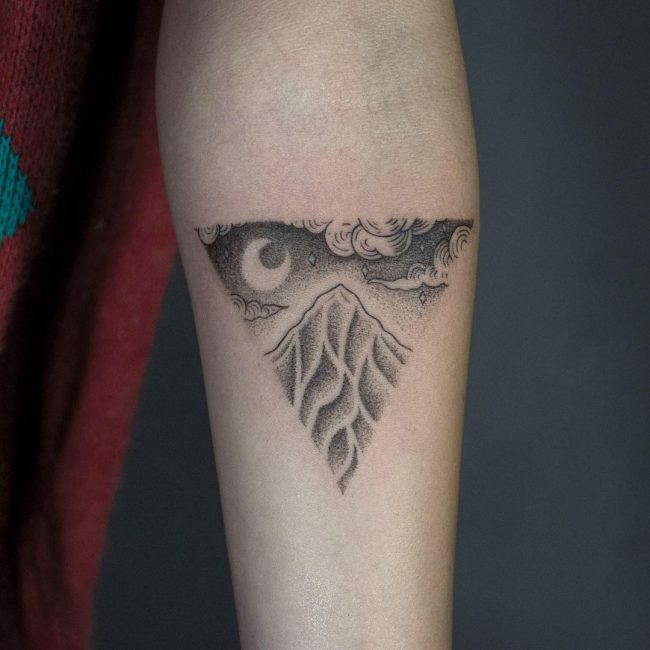 The mountain might be a unique element of nature, but if you draw it on your body, it can mean or symbolize anything that you want. 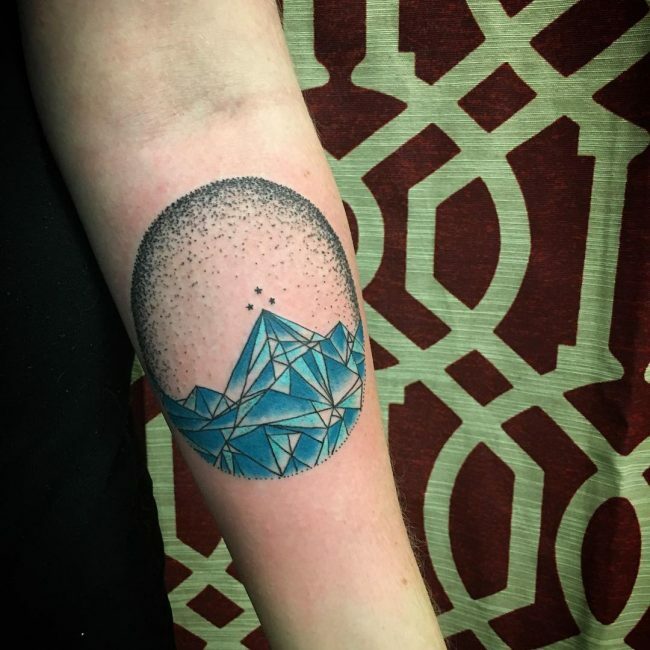 But just like any other form of body art, there is some common meanings and symbolism that people tend to associate with the mountain. 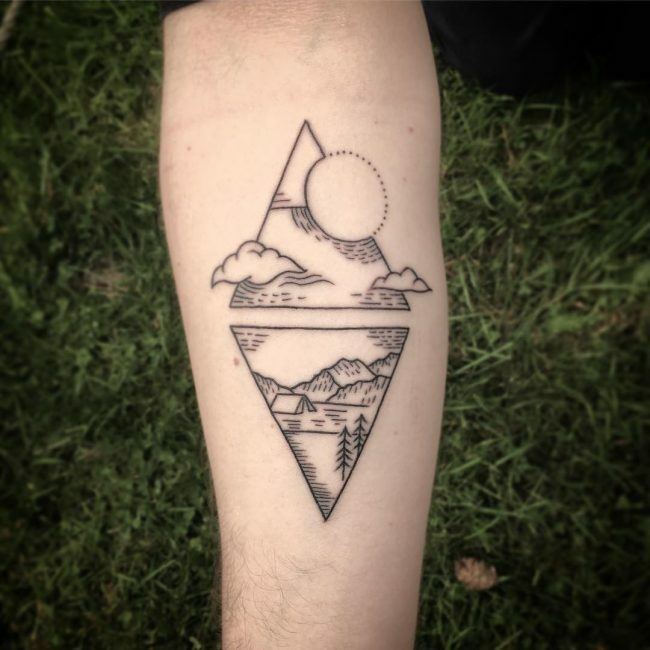 Many societies and cultures perceive mountains as mystical places. 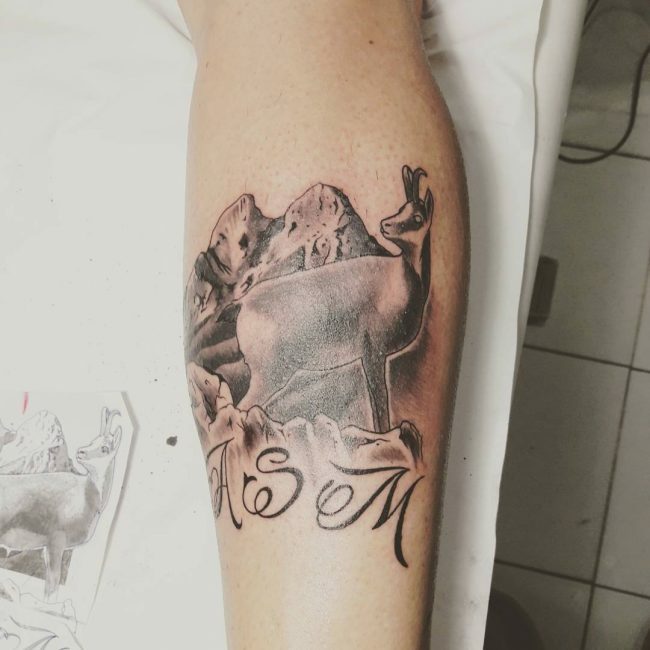 Most mountains are hard if not impossible to navigate, and this is the origin mystical symbolism. 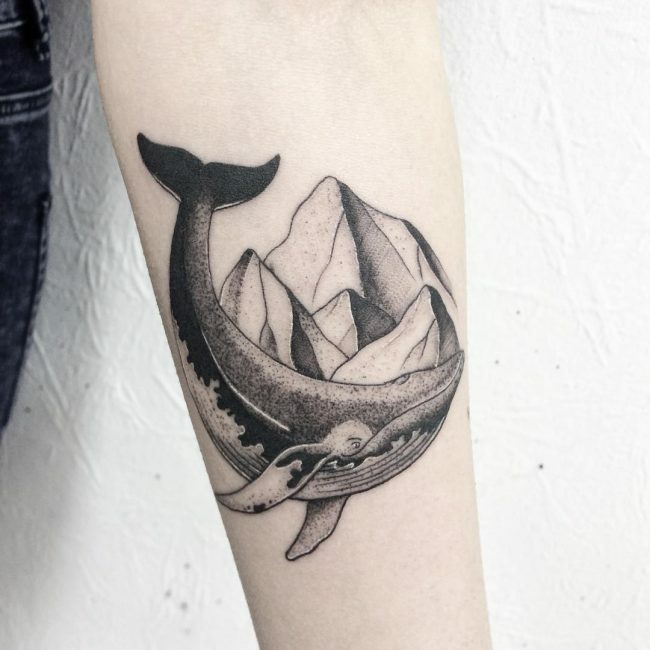 And so having this tattoo can symbolize how mystical you are or the mystical nature of your life. 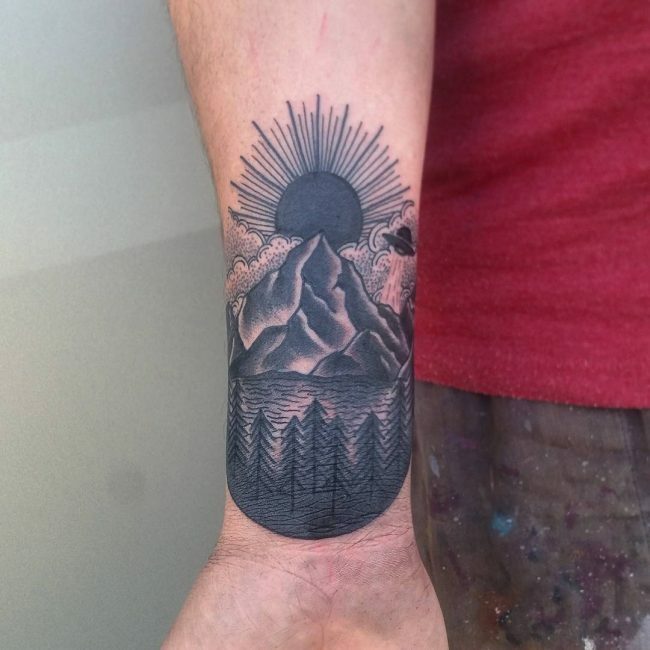 Your mountain tattoo can also be a symbol of strength and power. 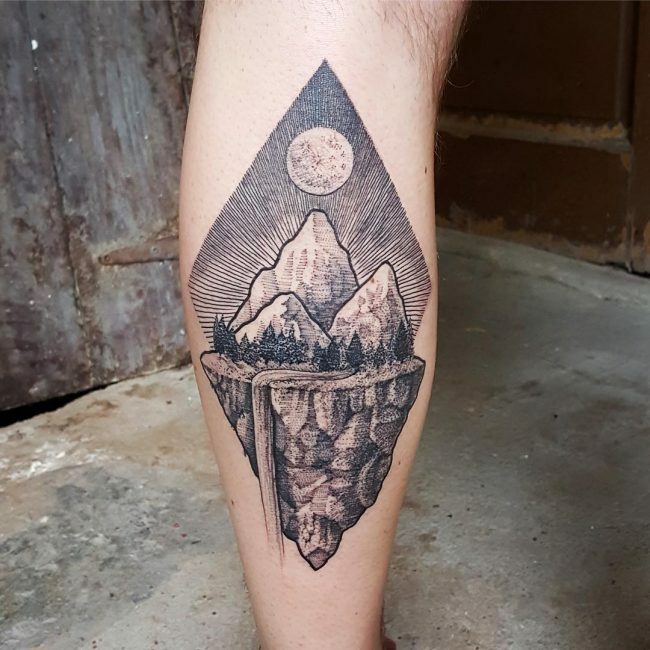 The mountain has to face many things, but it still manages to stand firm. 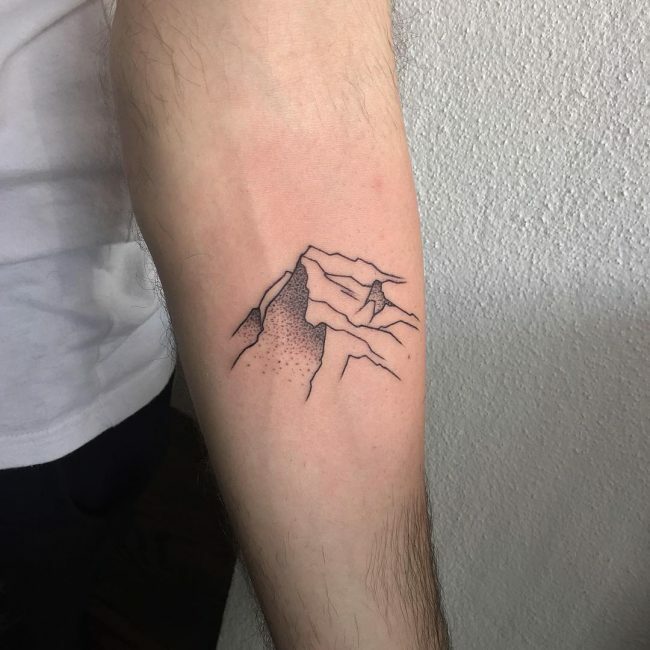 Whether it is a brisk wind, earthquake or landslides, and erosion the mountain goes through all this but it does not change its position or even its size, and this means that nothing can shake it. 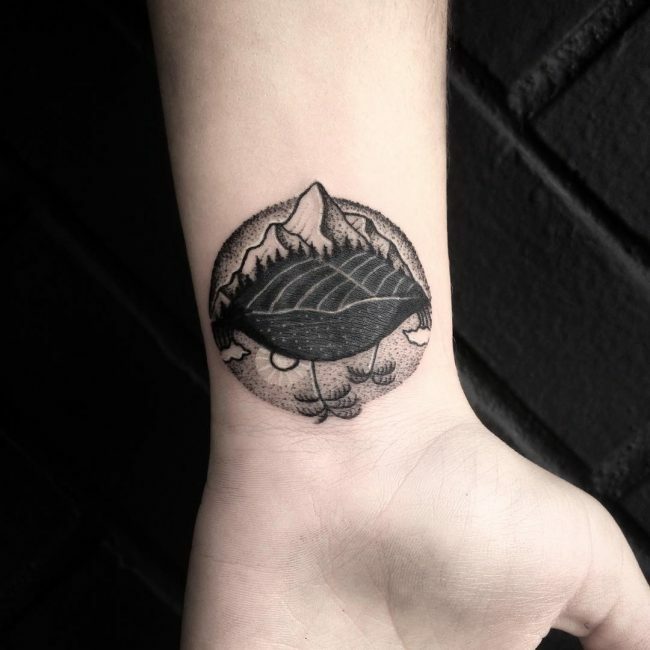 And so your tattoo can symbolize that you are as strong as a mountain because you can face anything that life brings your way. 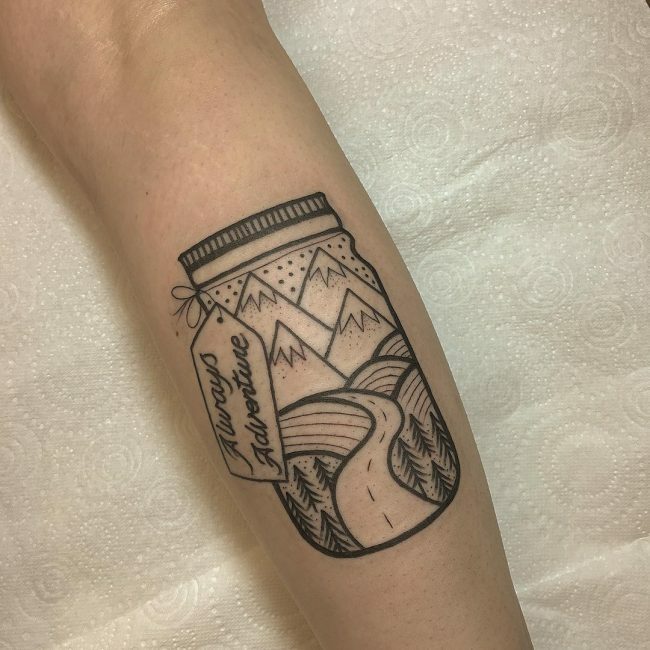 Another common meaning that people associate with this tattoo is the journey of life. 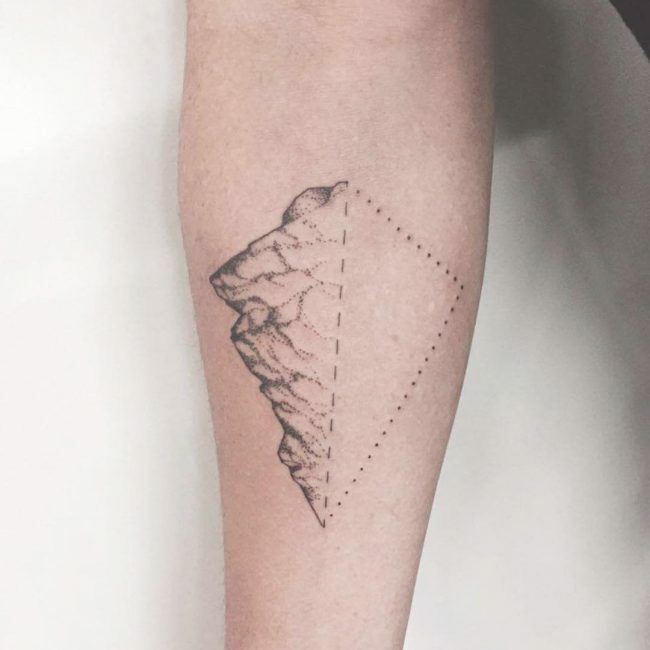 Mountains are hard and rocky meaning only a few people can go through them. 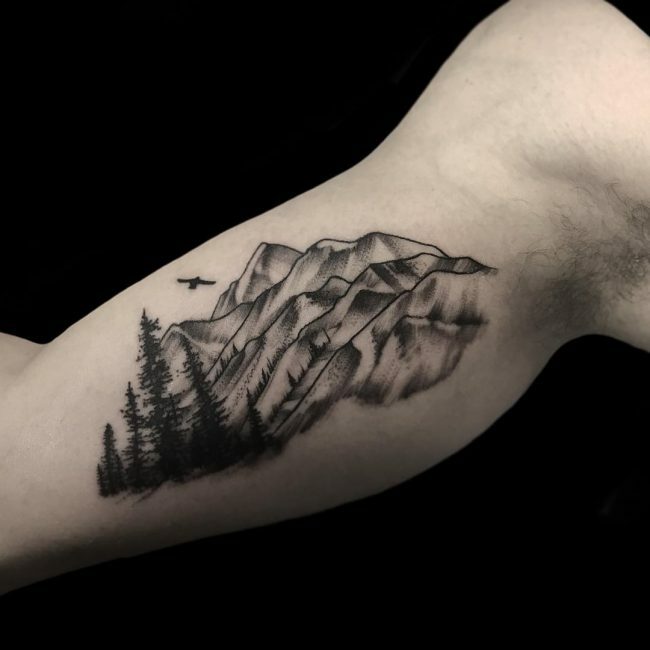 In fact, hundreds of people die each year trying to navigate various mountains around the world. 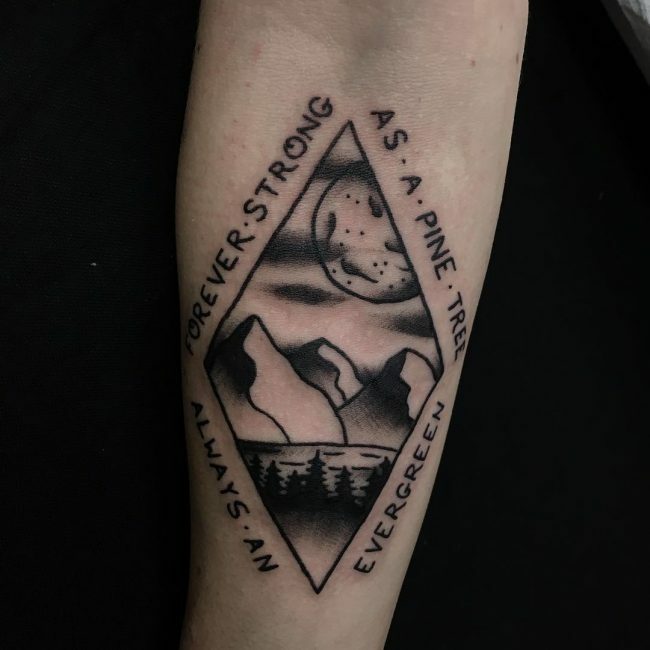 And so you can use the tattoo as a metaphor to show the hardships that you have had to go through in life, but you still came out strong or survived. 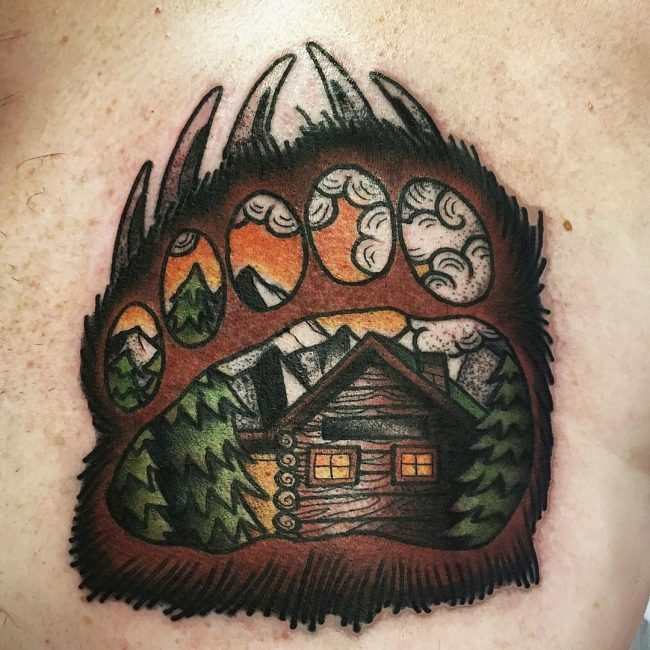 Various communities center their lives on a sacred mountain, and so this tattoo can also be a symbol of something sacred. 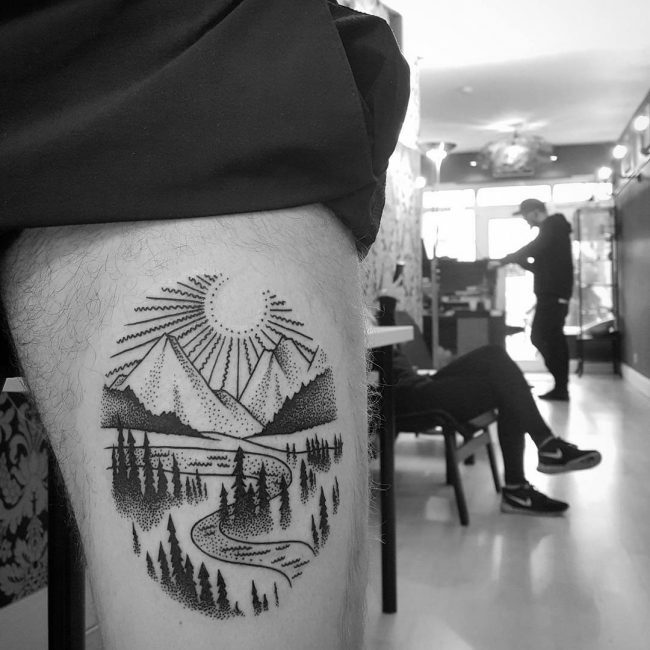 For example, the Taranaki people from Japan view Mount Taranaki as a holy place and their provider because the rivers that flow from it water their plants and animals. 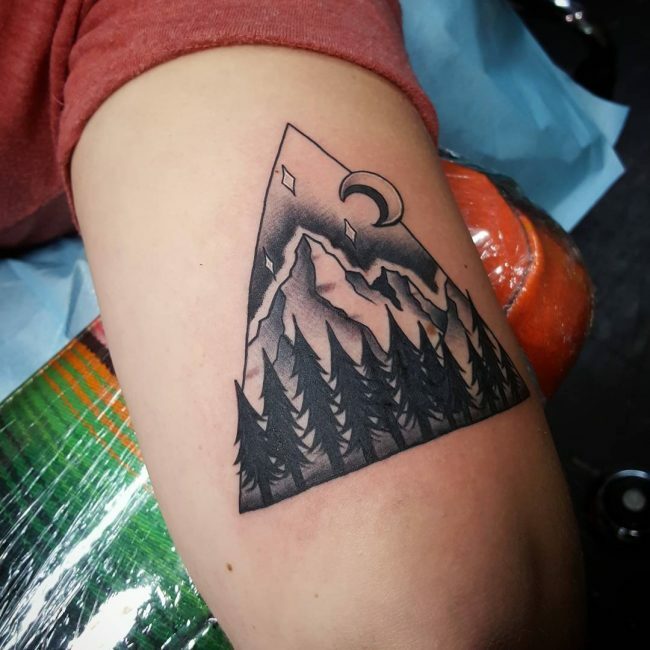 Some people will also have a mountain totem that represents a range found in their home meaning that your tattoo will symbolize your home or it will be a permanent reminder of your origin. 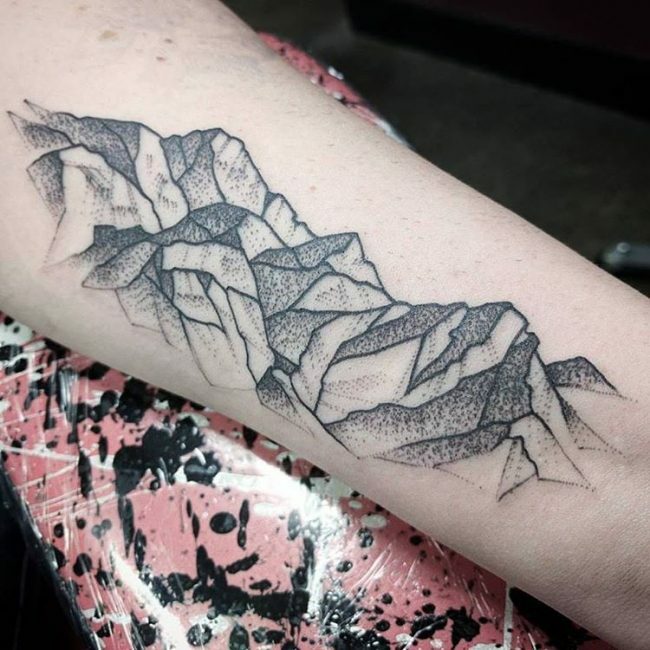 From Mount Everest to the mighty Himalayas there are many beautiful mountains that you can have for your tattoo. 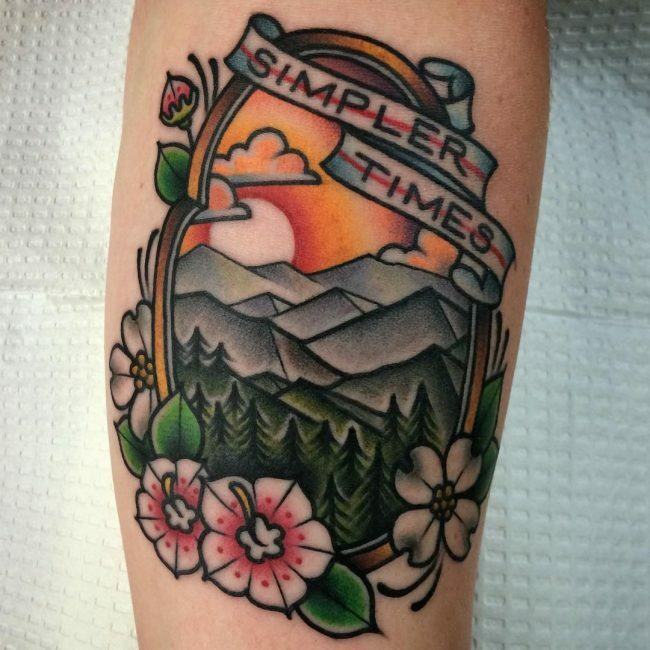 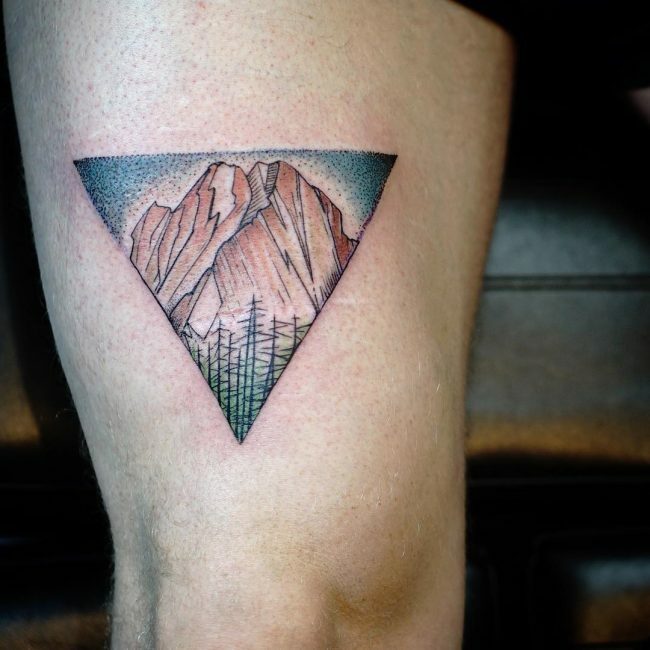 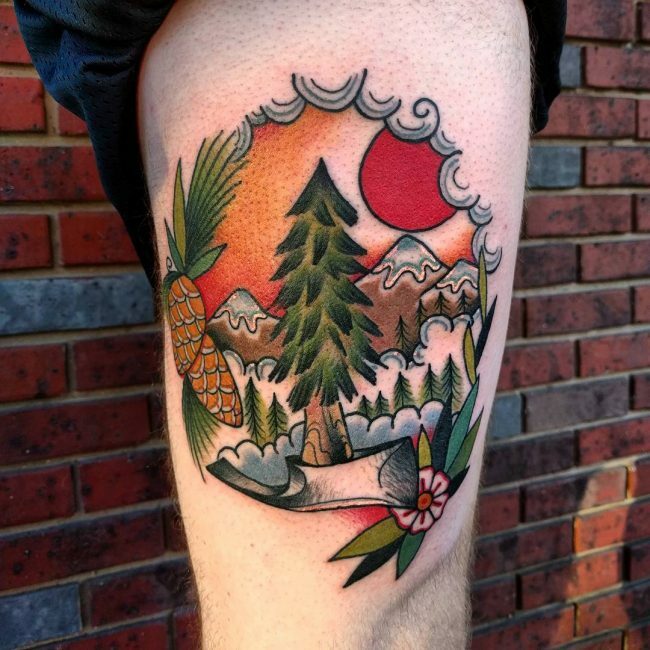 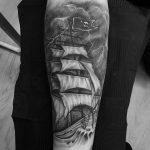 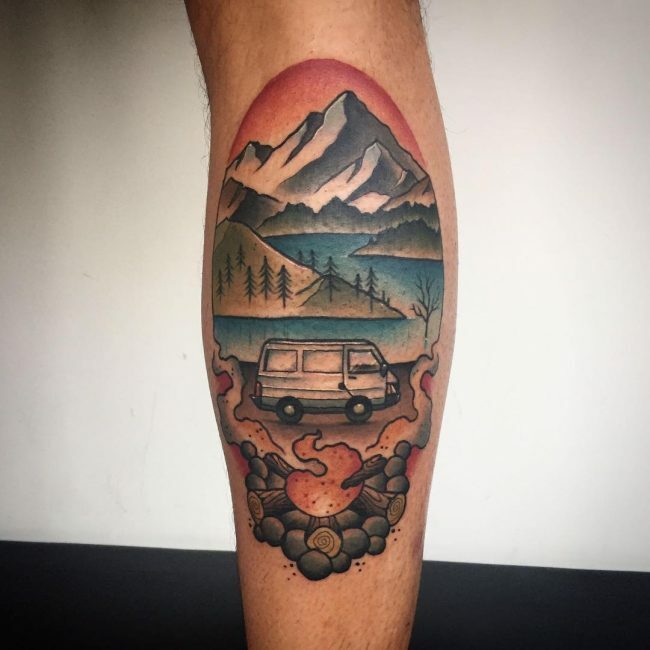 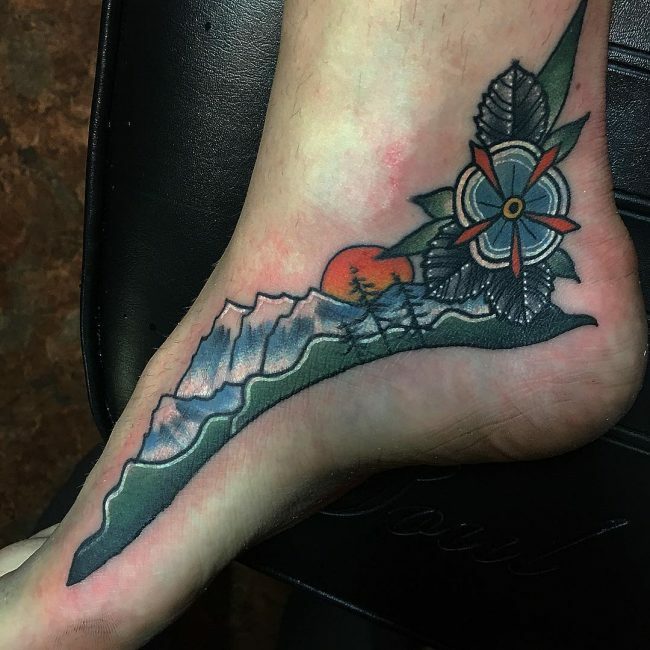 However, the options do not just stop on these famous mountains because tattoo artists have developed some impressive designs that give you plenty of choices when it comes to this amazing body art. 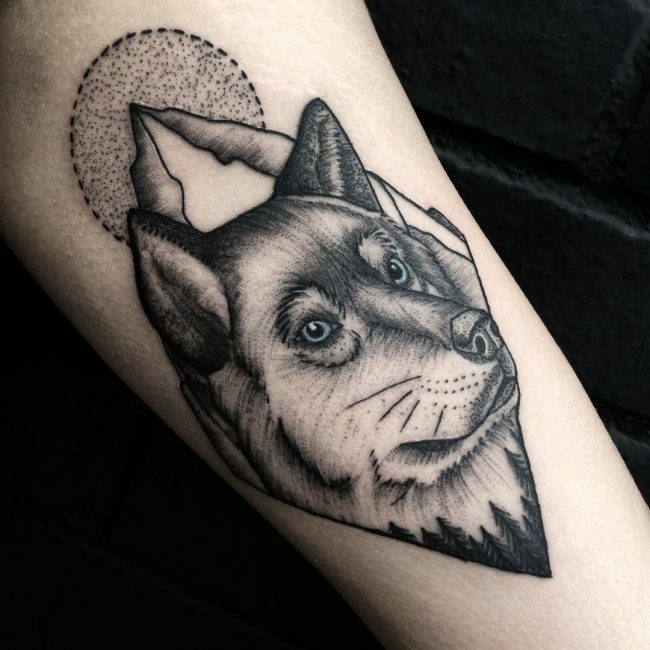 And so if you are thinking of getting an adorable totem here are some fabulous ideas for you. 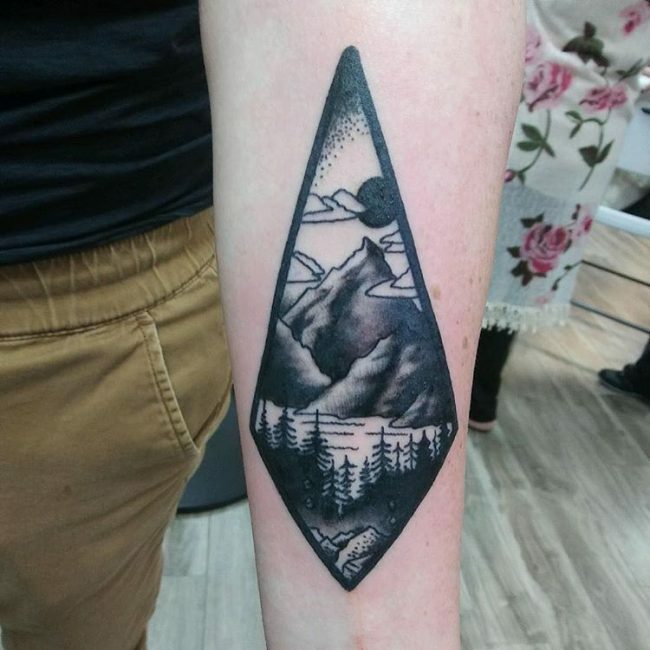 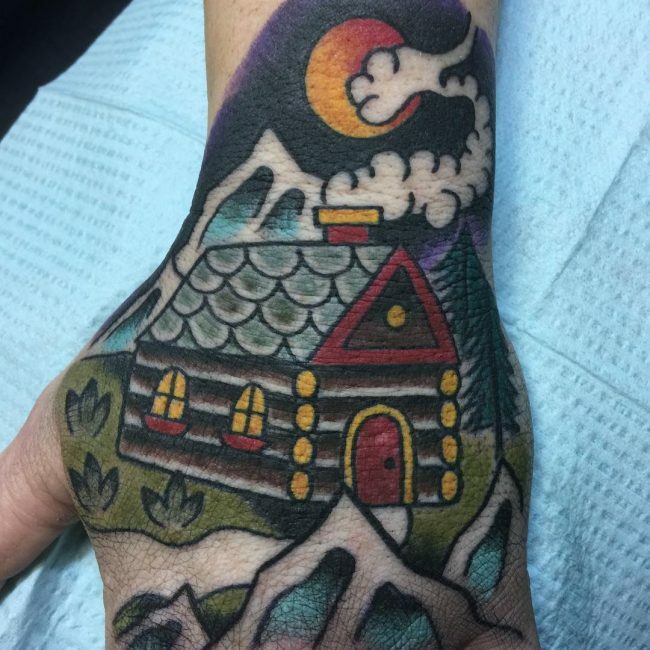 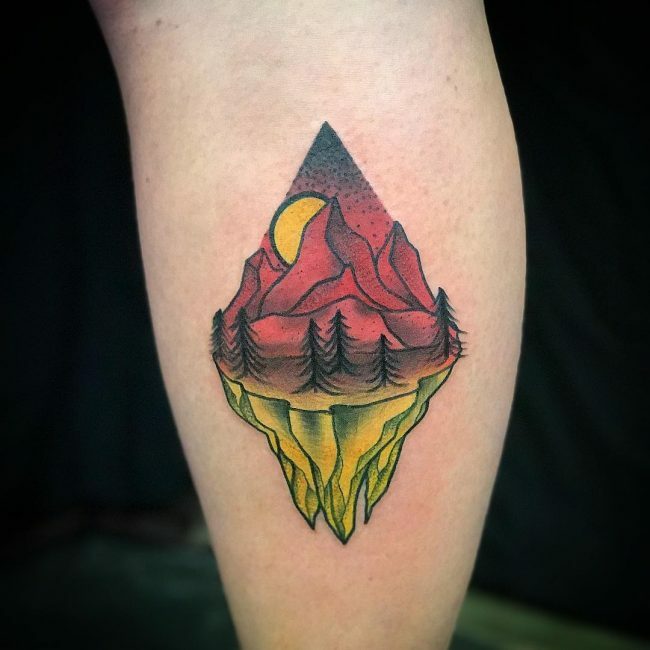 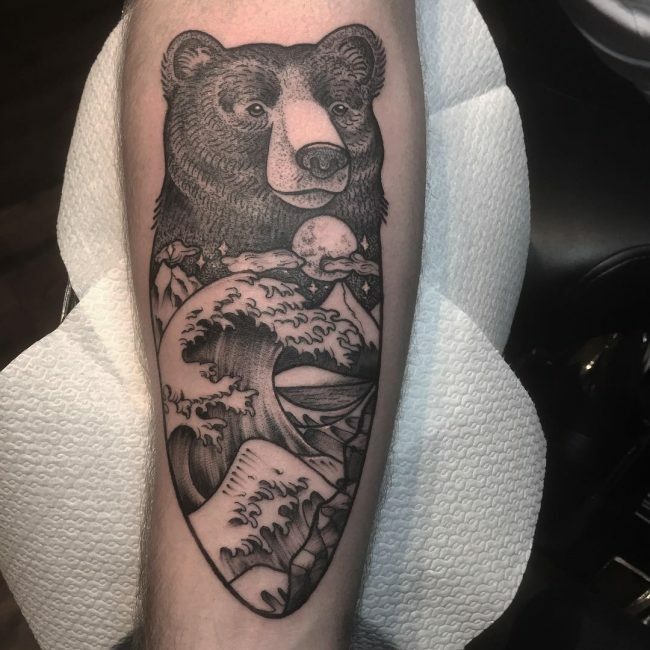 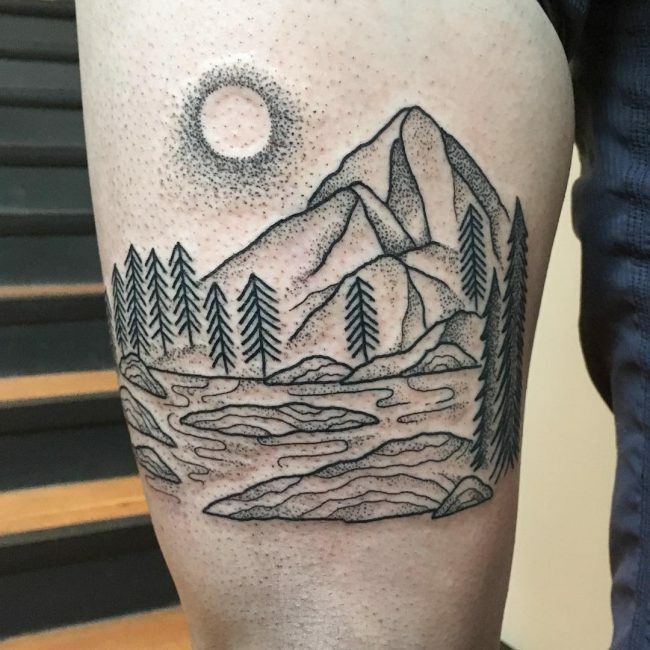 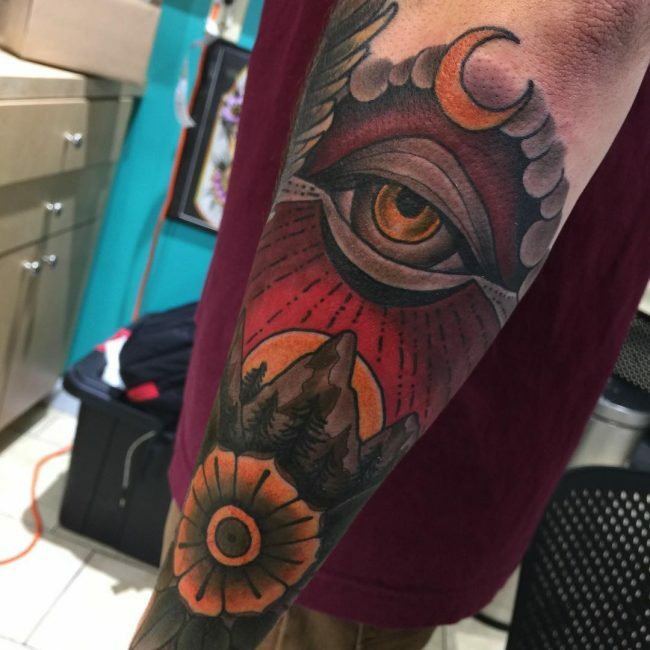 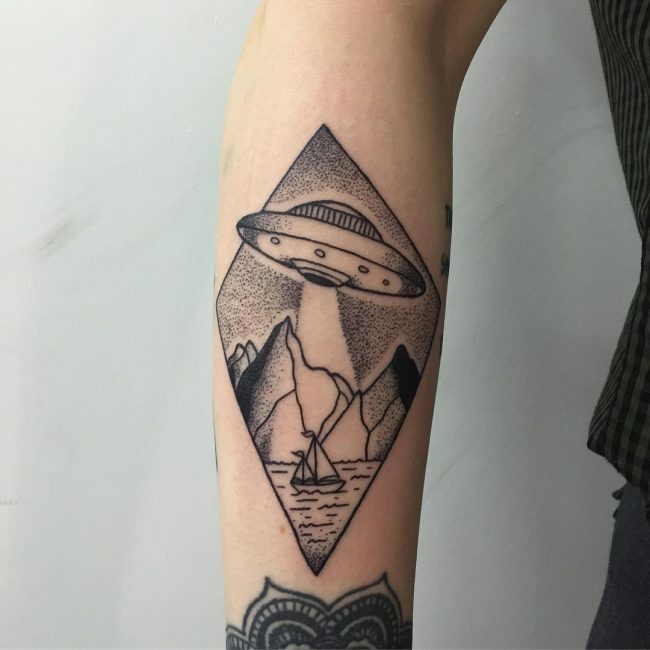 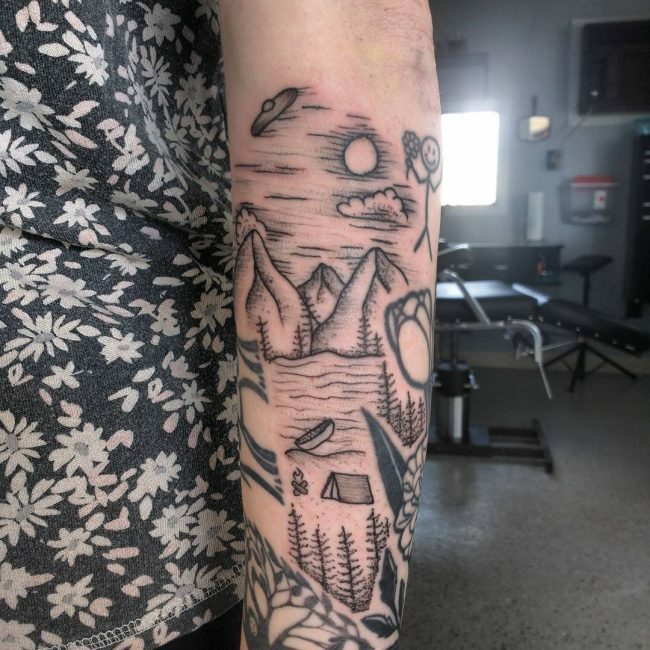 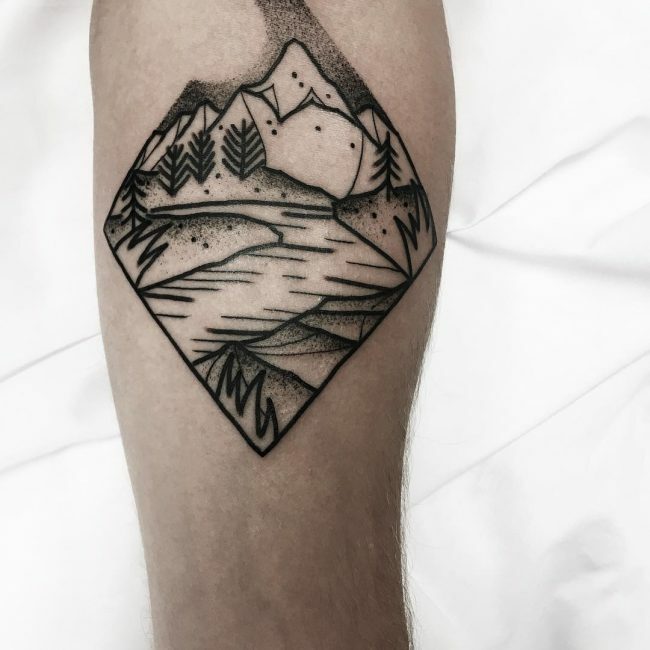 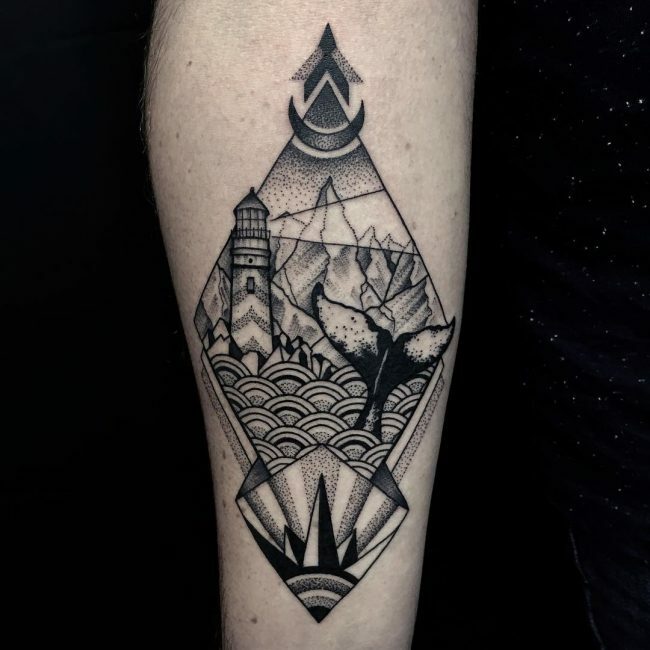 Mountain ranges are the most popular of these tattoos because most people prefer to have many mountains instead of drawing one. 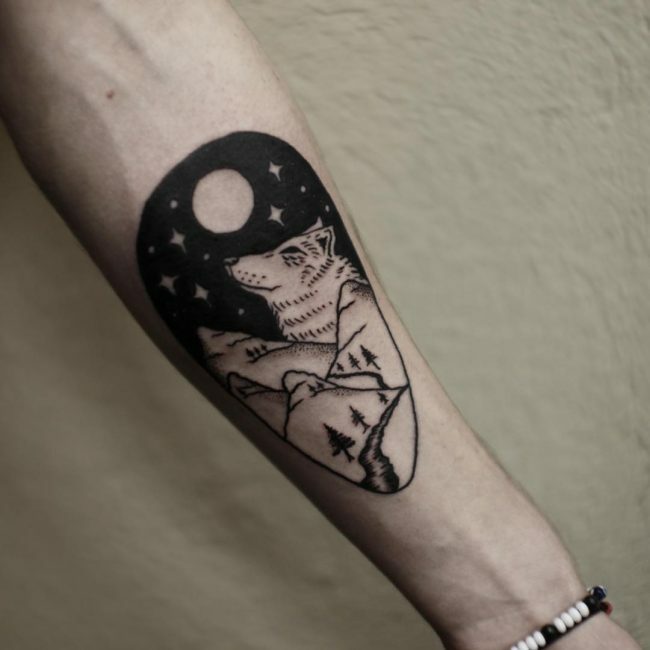 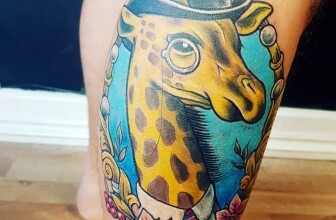 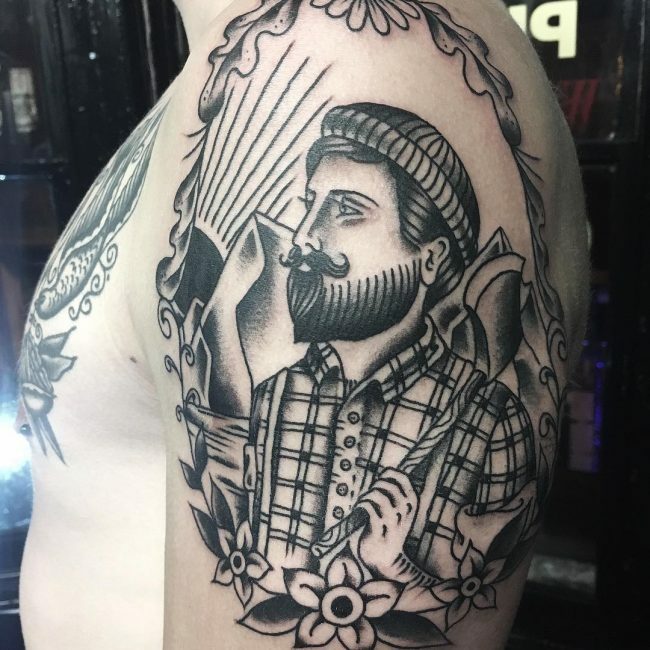 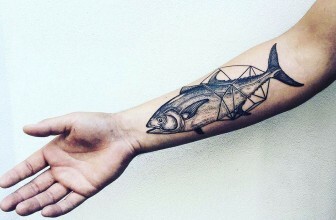 Whereas some tattoo lovers prefer to draw something realistic or a range that exists others will go for something fancy that is not necessarily lifelike but beautiful. 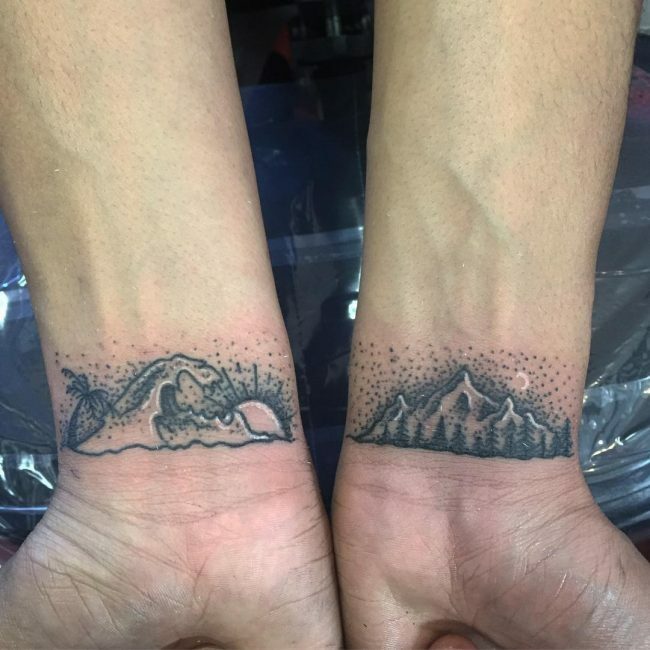 A single mountain or a range formed from dots is adorable. 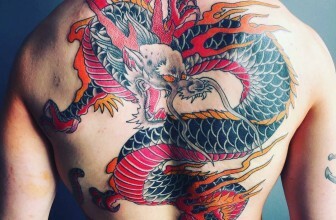 Although it will take a lot of time to complete, the end results make it worth the pain and time. 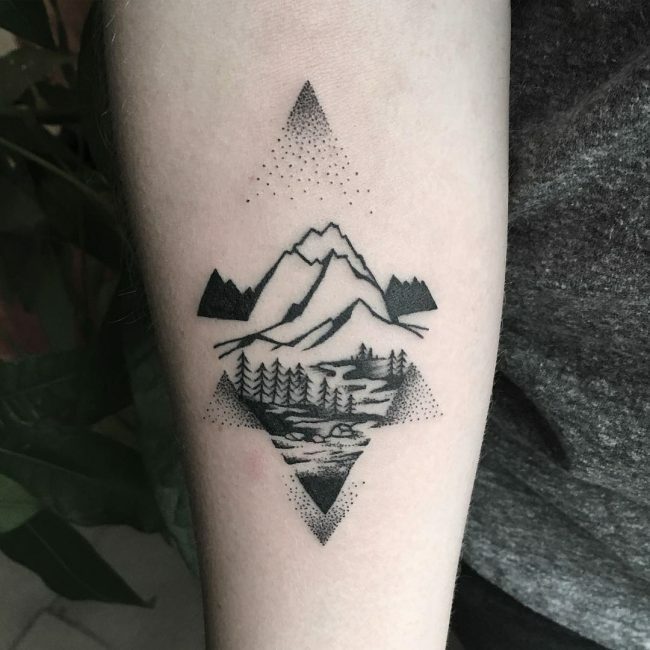 Some people prefer to have this tattoo in black ink while some colorful dots that make a mountain is a perfect totem for others. 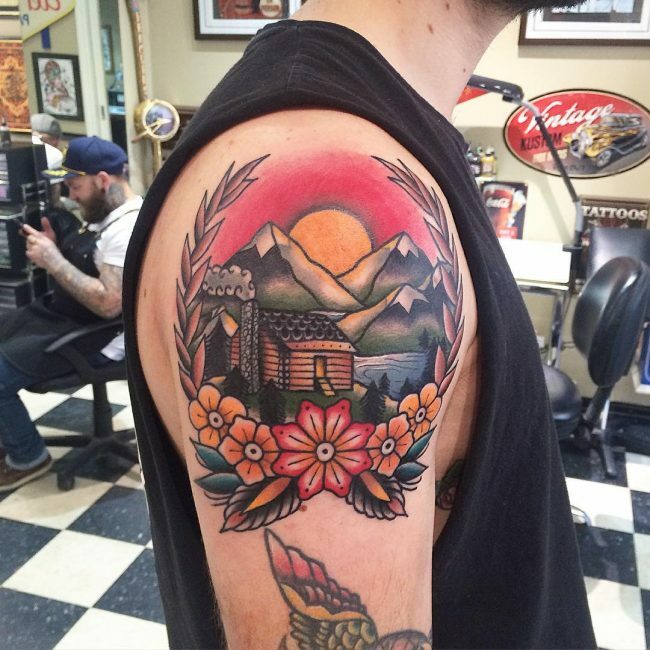 Colors always make any tattoo look super cute, and they also have a way of breathing some life to your body art. 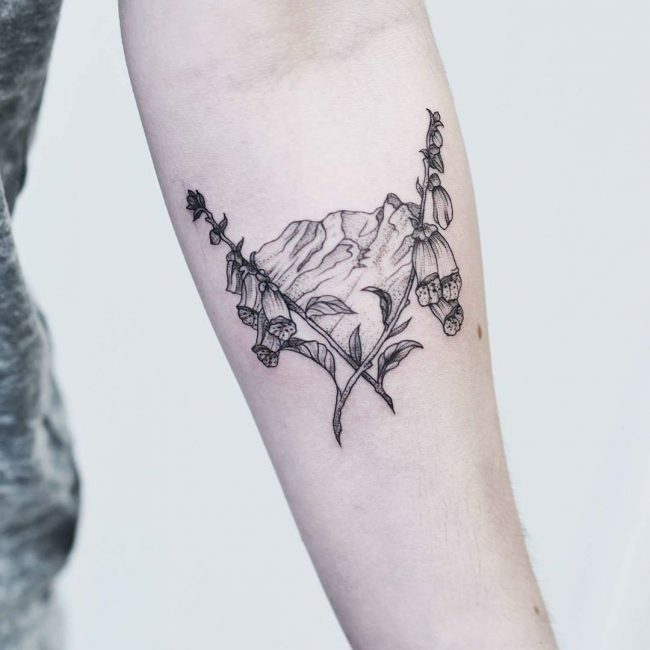 For this body art, you can use some realistic colors to show the plant life on the mountain, a river flowing from it and for the sky. 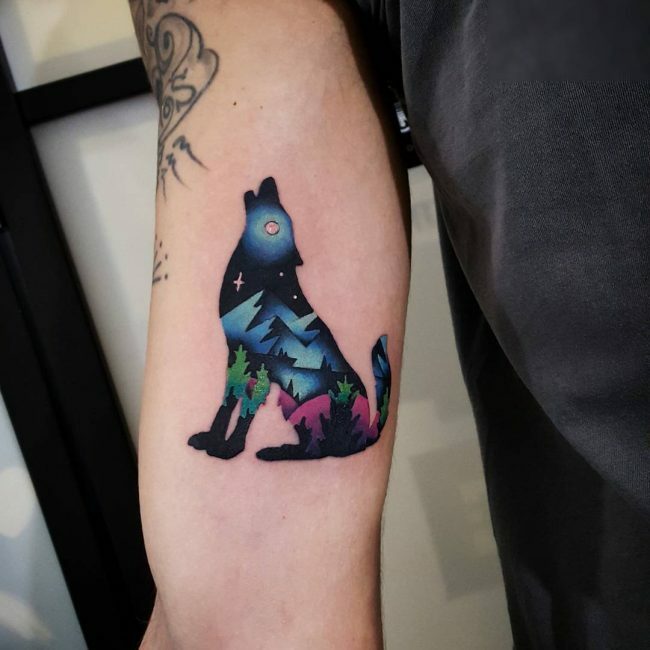 But, there is still an option of drawing the totem in any vivid colors even if they do not look realistic. 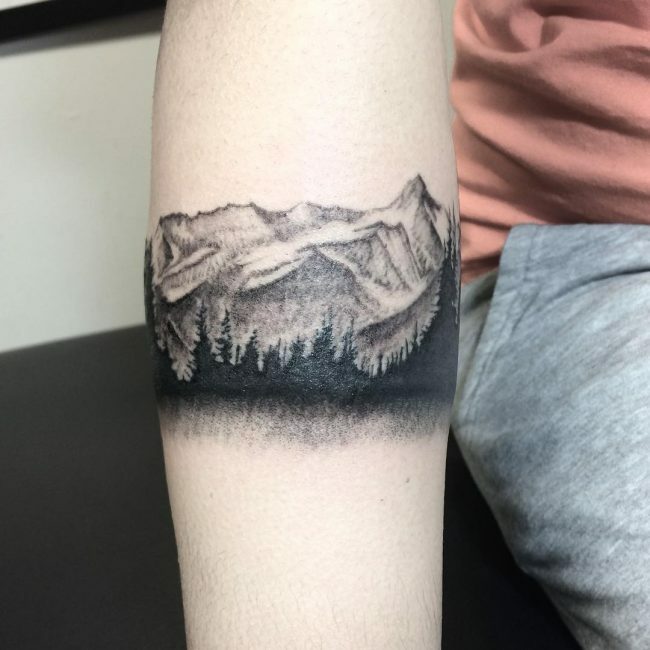 Drawing your mountain tattoo in 3D not only makes it look realistic but it makes the body art modern and trendy. 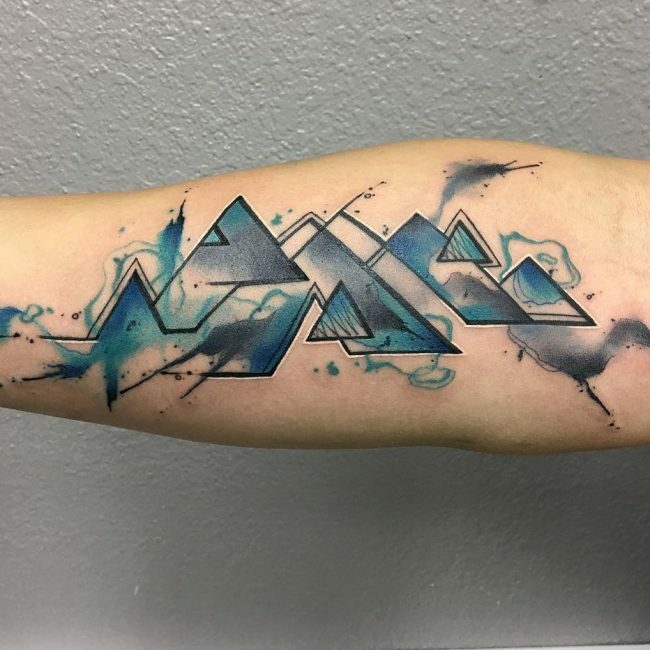 3D symbols are quite widespread, and so you will not have any trouble finding good artists that will give you an impressive image. 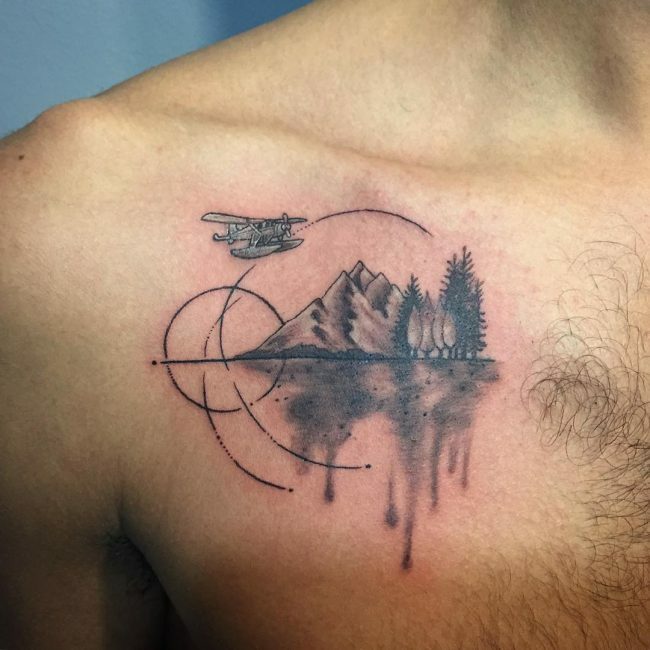 You can have any design from picturesque mountains to minimalist styles in 3D. 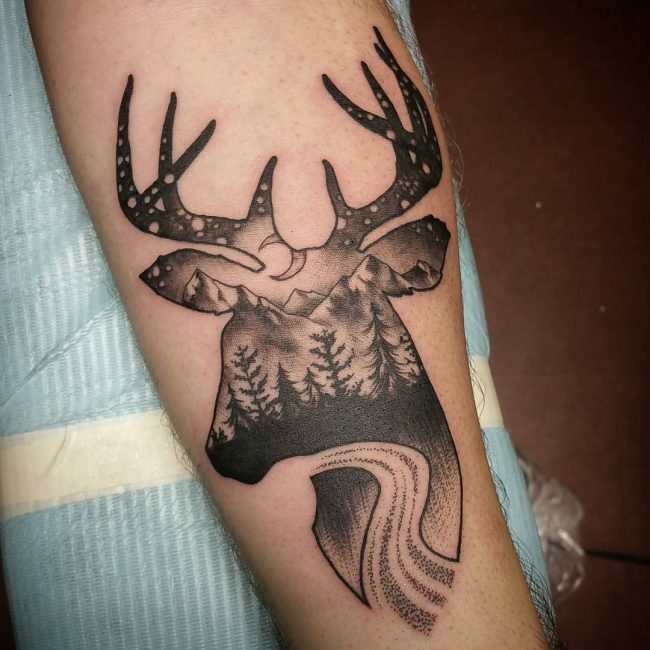 This design is for men and women that prefer to have small and simple tattoos that they can conceal easily. 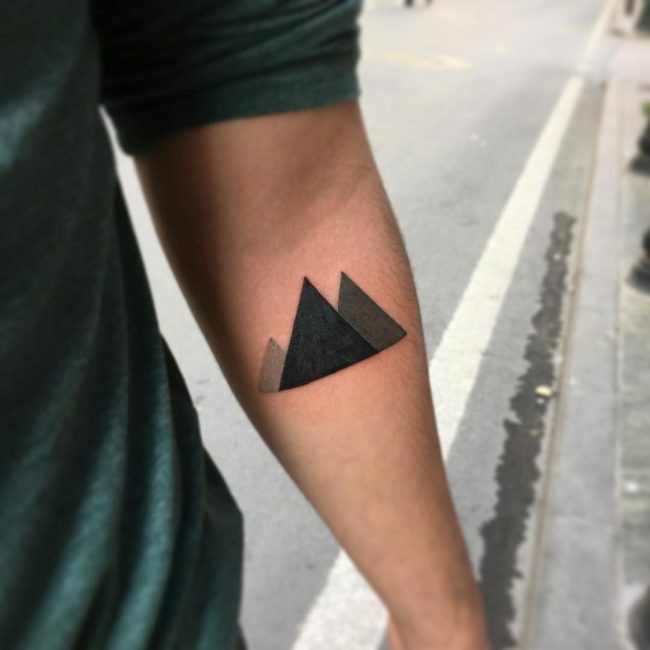 The minimalist tattoos are simple and do not have too much detail, but they still portray important messages and symbolism. 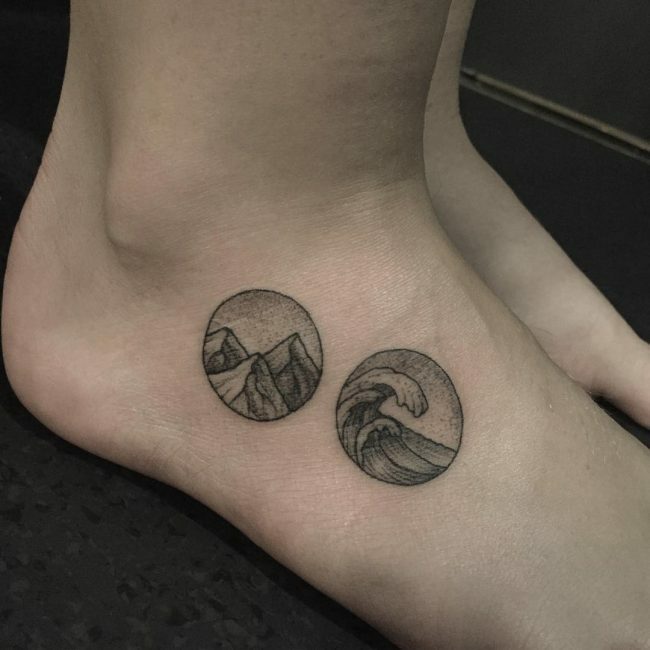 They are also perfect for placing on the ankle, wrist or even on your fingers. 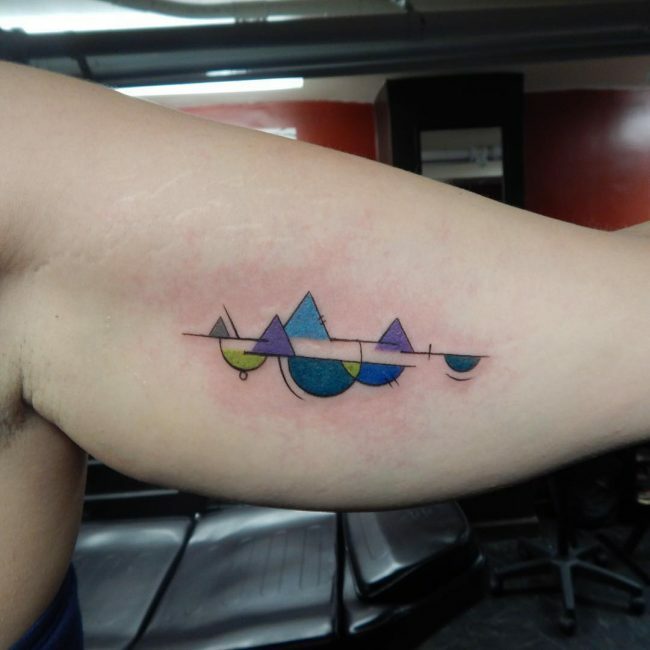 Continuous line tattoos are glamorous and unique. 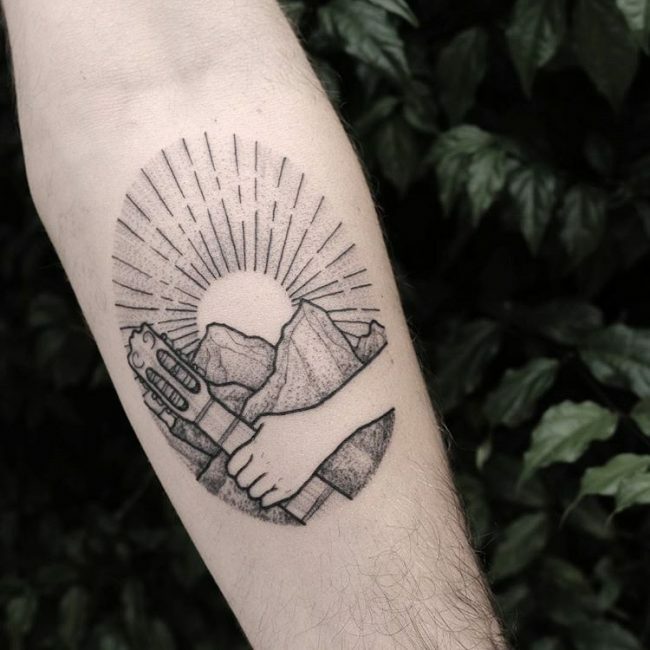 They are a distinct genre of tattoos with some famous artists specializing in drawing them. 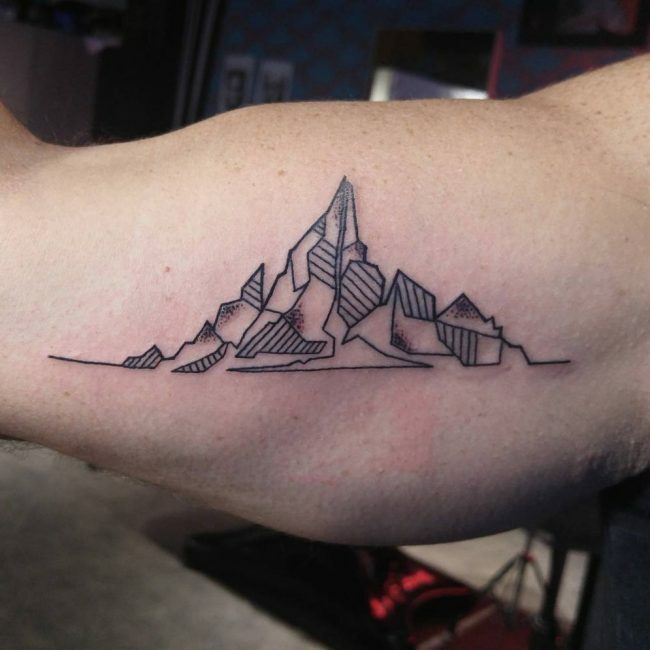 A simple continuous line mountain might not look very fancy, but it is an elegant body art design that any tattoo enthusiasts will be happy to get. 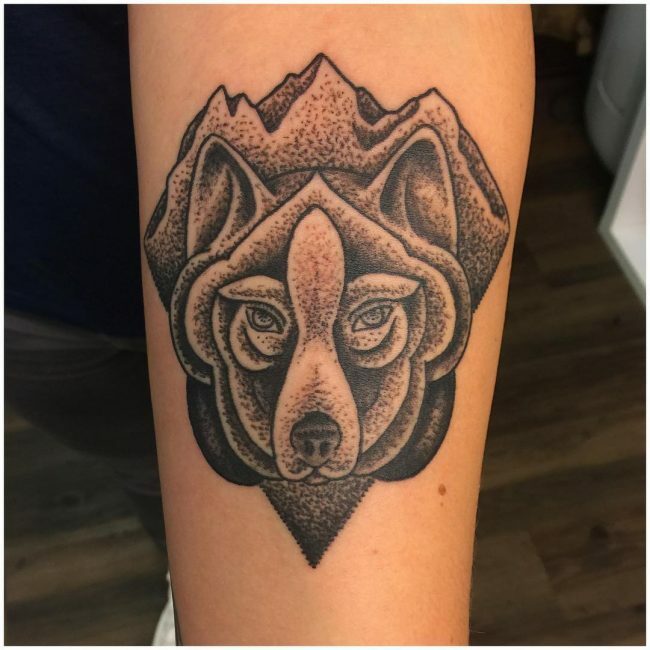 Although some designs of the mountain tattoo will look good on specific parts of the body, you can still have this totem anywhere you want. 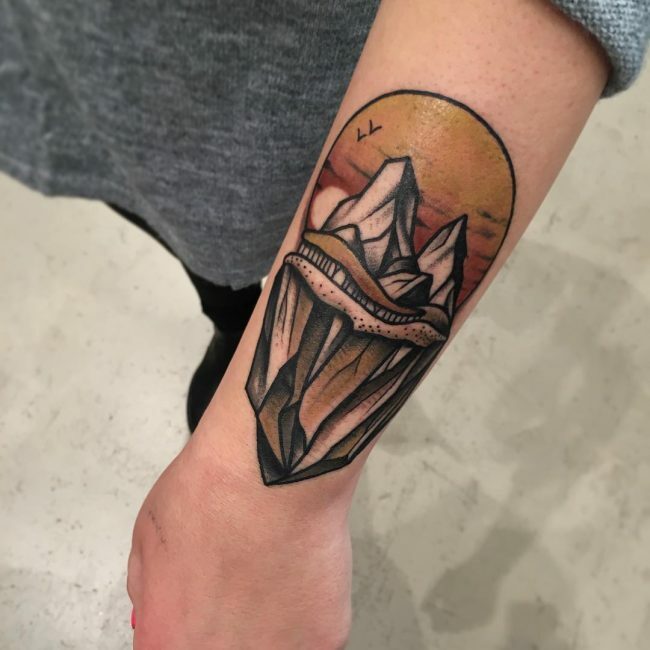 Once you choose the mountain design that you want, you should talk to the artist about the best place to have it. 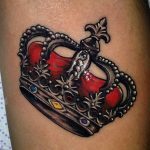 However, men seem to prefer to have theirs in the upper arm, as a sleeve, on the chest, and at the back. 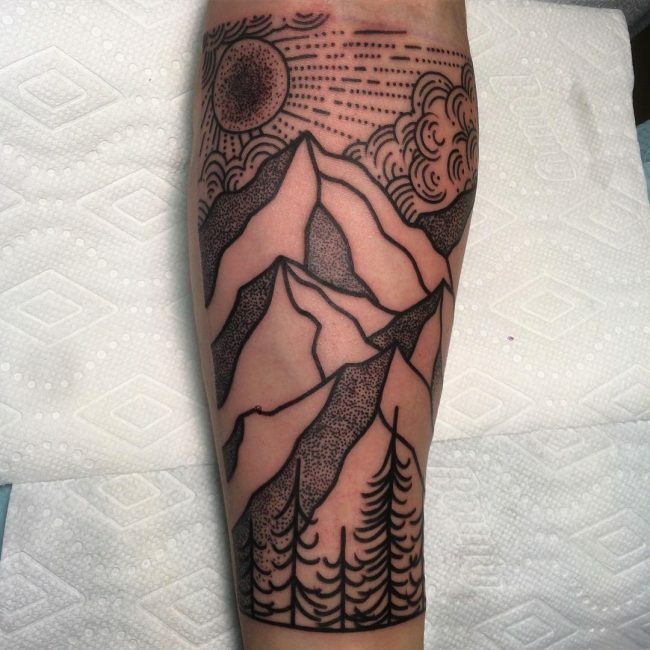 Although these are still ideal placement areas for ladies, they also like to draw mountains on the rib cage, back part of the neck, thigh and on their ankle. 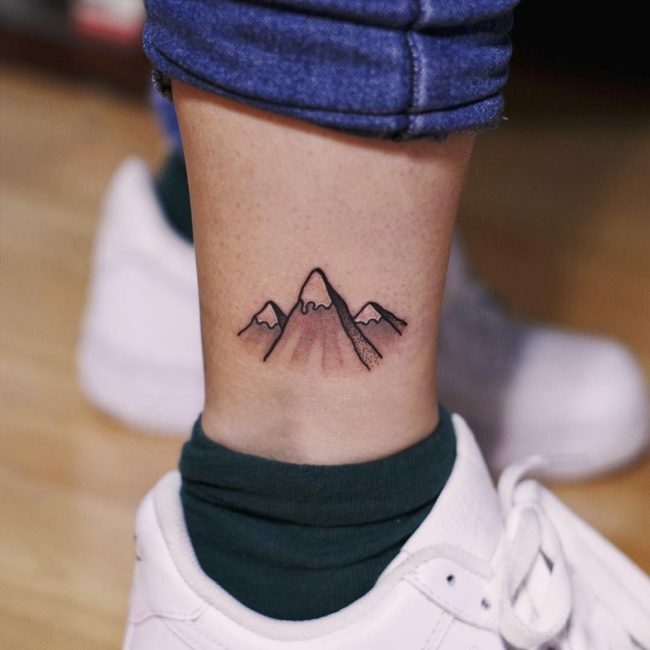 Small tattoos of a mountain will also look cute when you place them on the wrist, ankle, and finger. 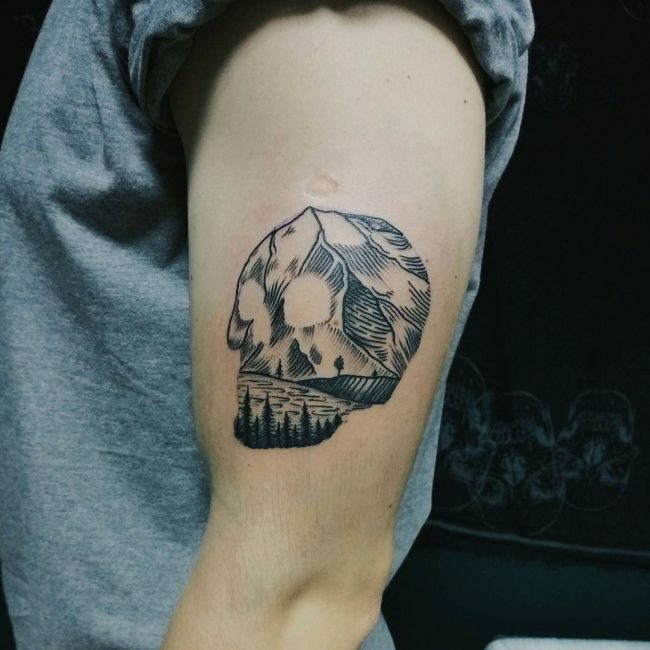 The mystical nature of the mountain should be enough reason to convince anyone to have it as a tattoo. 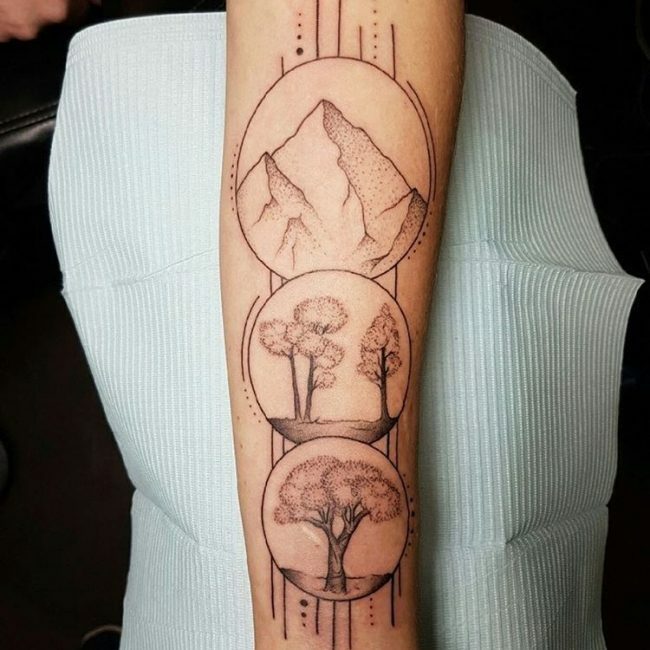 But, this natural element also has many other meanings and symbolism and the fact that it is also available in numerous designs means that it is an excellent body art design.